With the retirement of Supreme Court Justice Anthony Kennedy and President Donald Trump nominating Judge Brett Kavanaugh to fill the vacancy, many have wondered if the landmark Roe v. Wade decision will be overturned. A recent report by the abortion rights group Center for Reproductive Rights has argued that if Roe was overturned, then 22 states would likely ban abortion in response. The Center for Reproductive Rights labeled 22 states as being where "the right to abortion is at the highest risk of loss." 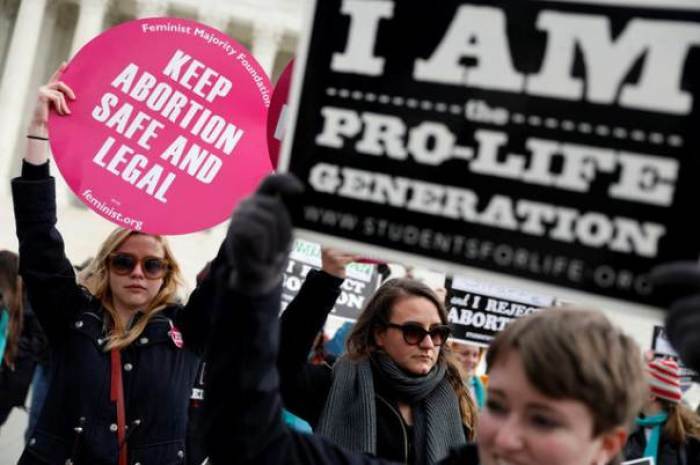 It also labeled eight states and the District of Columbia as being where "the right to abortion is at risk of loss" and 21 states as being where "the right to abortion appears secure." "We may now face the greatest threat to reproductive rights in more than a generation," the group further lamented. Opponents of abortion, however, like Pro-Life Action League Executive Director Eric J. Scheidler, believe that claims like 22 states immediately banning abortion are exaggerated. In an interview with The Christian Post on Thursday, Scheidler said he believed the claims being made by groups like the Center for Reproductive Rights were merely "fear mongering." "At most, only a couple of states with extremely conservative legislatures might even attempt something like a total ban on abortion," said Scheidler. "[It's] far more likely is that states would seek to further restrict abortion, in line with the view of most Americans, with measures like banning late-term abortion and holding abortion facilities to the highest health and safety standards." Scheidler also told CP that he did not "expect to wake up one morning to headlines that Roe v. Wade has been overturned after Brett Kavanaugh is confirmed." "Instead, I'd expect to see the Supreme Court uphold greater restrictions on abortion than we've seen so far, such as the bans on abortion after 20 weeks that have been passed in some states," continued Scheidler. "But more immediately, I would expect a court with Brett Kavanaugh on the bench to vigorously uphold the civil rights of pro-life activists, and the religious freedoms of all Americans. I'd expect to see restrictions on pro-life speech — such as the 'Bubble Zone' enacted here in Chicago in 2009 — to be struck down." Genevieve Plaster of the pro-life Charlotte Lozier Institute told CP that she found the abortion group's claims to be "reasonable to a degree," but felt that they missed "the main point about any change in the Supreme Court's muddled jurisprudence on abortion." "The most important result of greater freedom for states to legislate is that a strong majority of states will move away from the radical policies we have now allowing elective abortion up to birth," Plaster said. "Forty-five years after Roe, the states, deprived by that 1973 ruling of their ability to protect any unborn child from destruction, will move in a new direction. Our legislators will be accountable to the people for the laws and limits they pass. Even 'liberal' states on abortion may face new votes on elective abortion at 20, 25 or 30 weeks."